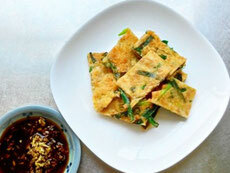 You can eat deliciously a snack being marketed, but when you add a little time and effort, you can enjoy unusual taste. 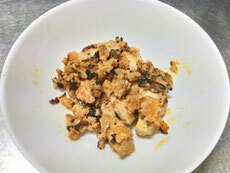 This is a tandoori chicken which you can easily make by sprinkling karamucho on it and putting it in yogurt for a while. You can make it with your frying pan even if you don't have tandoor! It is like a soft rice cake made from marshmallow. 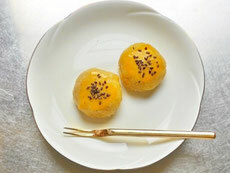 The combination of marshmallow, soybean flour and sesame brings a good flavor such as the Japanese sweets. 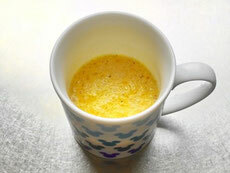 It is very easy, and its taste is even lifelike. If you like strong taste, please prepare two umaibos. I made a dango from jagarico. This is like a Japanese cake which has sweet potato flavor. Chocolate and marshmallow go together very well. 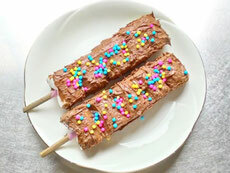 You use your favorite pocky for the part of the skewer. 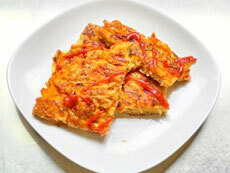 It is Spanish omelet made of potato chips instead of potato. A sourish taste of tomato and a flavor of the potato chips spreads in a mouth. 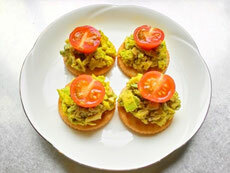 This is an easy ritz canape to which was added wasabi to give an extra spicy. Because of including avocado, its nutritive value is high, and so it's healthy. 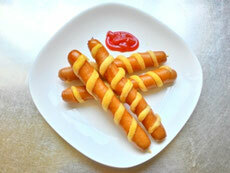 These are corn dogs which are made of spiral wieners wrapped in pancake mix of umaibo taste. These are healthy, because you don't use oil. 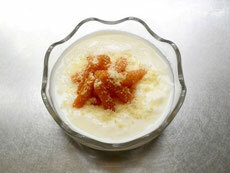 This is simple pudding made from Calbee Frugra, milk and egg. You can enjoy a heated one or a cooled one. 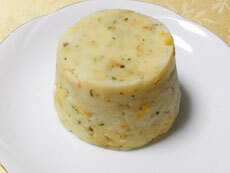 This is stuffed with Kappa Ebisen instead of meat. 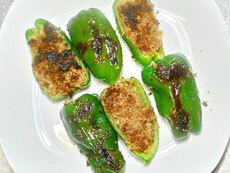 The taste of the inside makes a good match with the sweetness of green peppers. Chizimi is an okonomiyaki-like Korean pizza. 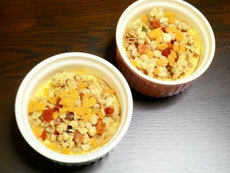 This is easy chizimi which extremely hot snack Boukun Habanero is in. 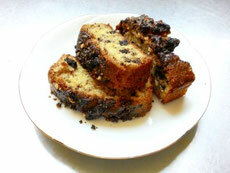 You can make this cake while watching DVD. If you get used to make it, you only use one mixing bowl and it's very easy. 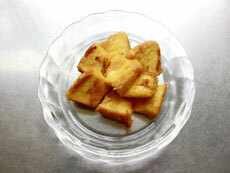 It is a easy French toast made by flan (flan means pudding in Japan). This yogurt tastes sweet and salty. You feel a crunchy texture is fun to the end. You only add hot water to Jagarico and mix it. 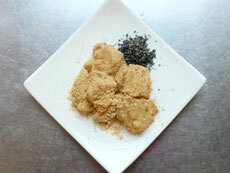 When you add black pepper, you can eat deliciously for pungent taste. 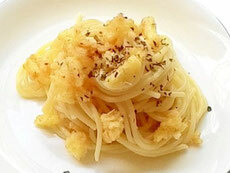 You only sprinkle broken umaibos on spaghetti and mix it. It is suitable for you who like Umaibo. 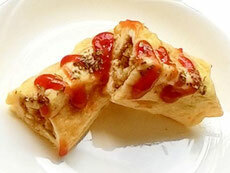 It is easy omelet which is made from an egg and your favorite umaibo.